Each of us has the opportunity to use our Power of ONE, as Helen Keller suggested, creating a shift in our culture and society. How? By taking action, LIVING AUTHENTICALLY, and having the courage to Stand UP and Speak OUT. Our motto is Leave NO Person Behind when it comes to civil rights and protections for gay, lesbian, bisexual and transgender persons. Most people agree, but some still want to exclude GLBT persons. Our society cannot be its best if we exlude anyone. Each and every person has the opportunity and responsibility to create a bridge to help end the polarization in our country. Ordinary people from all walks of life, as well as those who are well-known in their field, are becoming more and more committed to transforming our world. Click here if you are interested in nominating someone you know as a Stand UP Speak OUT Wind Changer. Also, click here to find out how you can become a Stand UP Speak OUT Wind Changer and take the Stand UP Speak OUT Challenge. We desire to have the voice of every person as we commit to having a rainbow choir of diversity! Discover what these Wind Changers are saying/doing when they Stand UP and Speak OUT! 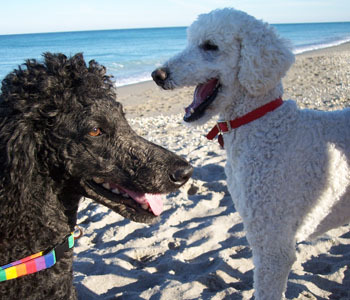 They are remarkable individuals who understand what it means to LIVE AUTHENTICALLY. They also embody the essence of Helen Keller, as they use their POWER of ONE and do the something they can do to make a difference. Model these people, and discover how you can feel empowered and choose to LIVE AUTHENTICALLY and make a difference. It is the small actions that create big changes! Each of us has the opportunity to create a shift in our culture and society by taking action and having the courage to Stand UP and Speak OUT. May they inspire you, as they have us. Beginning with Lars Clausen and going through Bobbie Bierleffi and Beverly Kopfare...these people were selected during our Gay Into Straight America journey. The ones after that are individuals who continue to be recognized through our non-profit, Stand UP Speak OUT, Inc.
We created our Stand UP Speak OUT Wind Changer Awards in honor of Lars Clausen, the man whose journey, Straight Into Gay America, served as the catylyst for our journey, Gay Into Straight America. "Straight Into Gay America," was the 1024 mile unicyle tour that gathered stories of GLBT life in America today. One month of exploring gay, lesbian, bisexual, and transgendered (GLBT or LGBT or queer) America. Click here to read more about this amazing family! 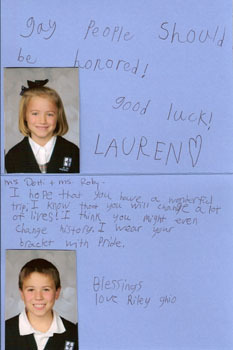 Kids really are our future! NEVER UNDERESTIMATE THE POWER OF ALLIES! We named Charlize Theron as our second Stand UP Speak OUT Wind Changer honoree. are her convictions. After seeing the actress on a morning TV show, The View, we named her the recipient of our second Stand UP Speak OUT Wind Changer Award. Charlize stated that she and her boyfend, Stuart Townsend, would not marry until gay and lesbian people have the right to marry. Note: Apparently, we aren't the only ones who appreciate what Charlize Theron has done. After we recognized her as a Stand UP Speak OUT Wind Changer, GLADD (The Gay & Lesbian Alliance Against Defamation) announced on March 1, 2006, that she would be the receipient of the Vanguard Award. Over the past ten years, Charlize Theron has firmly established herself as one of the major actresses in Hollywood, receiving recognition from the Academy Awards, the Golden Globes, the Screen Actor's Guild, and the National Board of Review. In 2003's Monster, Theron found the humanity within serial killer Aileen Wuornos, who spent her life abused by men, but dreamed of a new life with her girlfriend, Selby. Late last year, Theron solidified her support of the LGBT community when she told Extra that she and partner Stuart Townsend would not wed until the day when gay and lesbian couples attain full marriage rights. The Vanguard Award is presented to media professionals who, through their work, have increased the visibility and understanding of the lesbian, gay, bisexual and transgender community. Past recipients include Antonio Banderas, Eric McCormack, Shirley MacLaine, Vanessa Redgrave, Elizabeth Taylor, Liza Minnelli, and Whoopi Goldberg. Young people are so important! Heather is an amazing young woman! 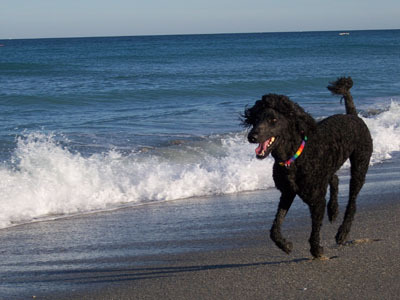 For her senior exit project, she chose “Adoption for Same-Gender Couples” in Florida. Heather is 17 and wise beyond her years! She is very interested in social justice issues and being actively involved. Heather may even join us on some future Soulforce Actions! Southern Girls Rock! Or sing country! Dolly Parton got the idea for her Oscar nominated song, Travelin' Thru, while on her tour bus. Dolly says, "Having a big gay following, I get hate mail and threats," she says. "Some people are blind or ignorant, and you can't be that prejudiced and hateful and go through this world and still be happy. One thing about this movie is that I think art can change minds. It's all right to be who you are." Her ability to identify with outcasts helped her to an Oscar nomination for Travelin' Thru, a song she wrote for the movie Transamerica. The main character is a pre-operative transsexual (played by Felicity Huffman) traveling the country with his son. Co-authors of the books, If Grace if True and If God is Love, Jim Mulholland (glasses) and Phil Gulley embody the spirit of Christ. Jim is minister of the Irvington Quaker meeting, and Phil is minister of the Fairfield Quaker Meeting. Both are in Indianapolis, Indiana. We salute Bernie, his wife, Roz, and daughter, Linda for their efforts in being on the front lines in educating people. Rev. 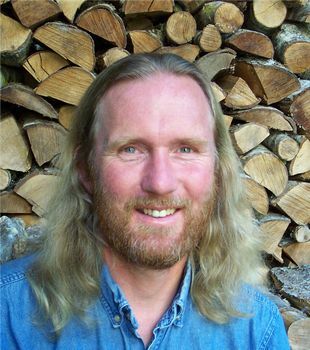 Bernie Turner is an American Baptist Minister, who has meticulously studied the Hebrew and Greek texts regarding the scriptures that are often used as "clobber passages" against gay, lesbian, bisexual and transgender persons. After his exhaustive study, he concluded that the Scriptures have been grossly misinterpreted relative to homoeroticism ("homosexuality" was a term which came into our language in 1892, just a little over 100 years ago, and was followed by the invention of the term "heterosexuality" about 10 years later). Today, as daughter and father, both Linda and Bernie stand as allies! Roby: With tears in my eyes, I thanked Rev. Bernie Turner for having provided that life line for me when I first spoke with him. He was the first minister, a person of "scriptural authority," to assure me that I am OK, exactly as I am! Although I had never met Rev. Bernie "face-to-face" until he married us (we had only previously emailed), that initial encounter via email provided me the impetus to take my journey, leading to me choosing to stand before God saying, "I do," as Dotti and I took one another as spouses for life, making a commitment to continue loving and honoring one another, on March 7, 2004. This was our initial wedding in Oregon, which was nullified a year later. Rev. Dr. Lisa Davison, an ordained Disciples of Christ minister, as well as professor of Old Testament at Lexington Theological Seminary, is Dotti's best friend from Lexington. (Click here for "What the Bible Says/Doesn't Say about Homosexuality" by Rev. Davison). Rev. Dr. Bill Stayton, an ordained American Baptist minister and the head of the Department of Human Sexuality at Widener University, where Dotti is working on her PhD. male and female influences on children. Stand UP Speak OUT Wind Changer Honorees. Each of these individuals is changing our world for the better, impacting all families in ways that cannot be denied. In this day and age, when couples are splitting up and children are split apart, this group of people is modeling a new and empowered way of being “family.” To help you better understand this family, we need to tell you that Roy agreed to give up any “legal rights” to the children. But, a piece of paper cannot make a person care for a child, and the lack of one cannot make a person not care for a child. Roy and Tim. a couple for 12 years, are committed to Ryan and Jack because they choose to be. Regina and Diane, a couple for 16 years, encourage Roy’s and Tim’s participation in their family because they know Roy and Tim to be people of impeccable integrity. What better influences would you want on your children? These four individuals are joined through their mutual respect for one another and their love for these children, as well as through their spiritual beliefs through their Catholic Church. Click here for more info in newsletter where they were nominated. for ALL familes are important! In this March 28, 2006, Advocate issue, you can read an update about Rosie & Kelli O’Donnell and their business, R Family Vacations. Click here for that article. 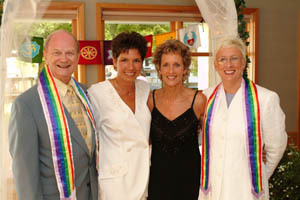 They, along with their business partner, Gregg Kaminsky, have made a big impact for families of GLBT persons. Thank you! We are proud to have named Rosie and Kelli, along with Gregg, and his partner, Dan as Stand UP Speak OUT Wind Changer honorees. We are sent them T-shirts and Caps. 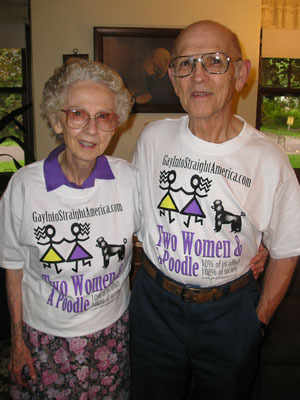 After all, real men wear “two women and a poodle” gear! Click here to purchase yours. 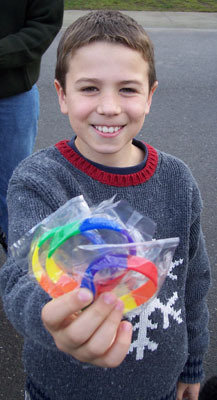 Rainbow wristbands are also available! Their recent HBO documentary film, All Aboard! is a touching documentary that brings a host of interesting issues to the fore, including the challenges of queer parenting and the value of acceptance and belonging. Click here for more on All Aboard! Everyday people make a difference! Use Jennifer as a model. You can do it too! Jennifer, a writer, lesbian, and single soccer mom of four left on April 8th, 2006, embarking upon "A Walk for Togetherness," a 500 mile walk up the coast of California. Her journey launched from San Diego and ends in San Francisco on Saturday, June 3rd. 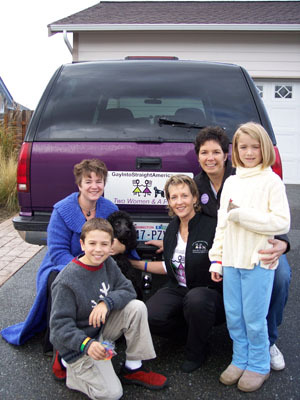 Jennifer says, "I am walking for these eight weeks to highlight the fact that all of us are interconnected. Therefore, any discussions or debates that use the words "we" and "they" to polarize communities are erroneous and destructive. What my walk boils down to is this: let's talk to one another about who we are and who makes up our families. We needn't fear what we'll find, because we will be the same people we were before, without the stress of hiding from one another. As more of us stop pretending that there is an "us" and a "them," it will become easier and easier to let go of assumptions and bigotry. Then, free of the shackles of shame and fear, we can work, play, and live in togetherness. Click here to visit her website, Walk For Togetherness. Use Roberta and Harold as a model. You can do it too! Roberta grew up under the doctrine that homosexuality, while rarely discussed at all, was considered to be an awful and exceedingly terrible sin. The idea that homosexuals could be active caring Christians that walked in God's love was never an issue for her until tragically her dear brother contracted AIDS, and came out to Roberta shortly before his death. With this confrontation came a mighty journey for Roberta. In her attempt to understand her brother and his life, she searched, questioned, and eventually, throughly examining her own personal relationship with God, found the voices of the gay, lesbian, bisexual, and transgender believers ready to be heard. From her "Fifteen Reason Why I Changed My Mind", and her willingness to hear EVERYONE's story, came her initial book, From Wounded Hearts. She has since compiled and edited two more books. 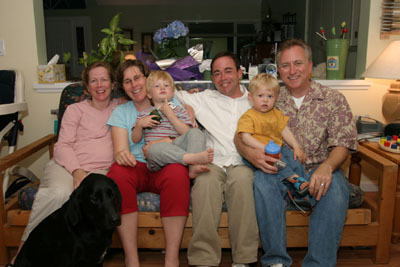 One of those is Together in Love…Faith Stories of Gay, Lesbian, Bisexual and Transgender Couples. Another is The Cost of Truth…Faith Stories of Mennonites & Brethren Leaders and Those Who Might Have Been. Check out Roberta's "Fifteen Reasons Why I Changed My Mind." When people ask us if we find that older people don't want to change, we always break down those stereotypes by talking about Roberta and Harold, as well as Dorothy Angell (now 83), who started PFLAG in Columbia, Missouri at the age of 79. Indeed, our youth today are not going to have to "unlearn" some of the stereotypes that many in older generations learned, but the fact that all stereotypes are learned is the key. If they were learned, they can be unlearned. Roberta, Harold and Dorothy are living examples of that. Click here to view their website that Dotti developed and maintains. <?xml:namespace prefix = o ns = "urn:schemas-microsoft-com:office:office" />© 2006 Indigo Girls. All rights reserved. Emily and Don were the keynote speakers at the United Methodist Women’s Assembly 2006 in Anaheim, California, where close to 10,000 United Methodist women gathered. 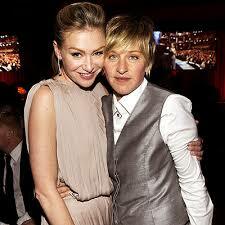 Some threatened not to attend because Emily is lesbian. Though there was a slight furor among some, Emily and Don persevered and spoke. A United Methodist minister, Saliers composes choral church music and serves as organist/choirmaster for Emory's University worship community. Saliers and his daughter Emily, a member of the Grammy award-winning Indigo Girls, collaborated in writing A Song to Sing, A Life to Live: Reflections on Music as Spiritual Practice (2005). When parents speak out, changes can happen! When we speak out, changes can happen! 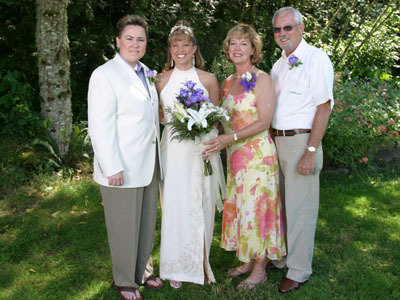 Kathy and Robert went the extra mile in a situation where the Skagit Valley Herald refused to print the wedding announcement of their daughter, Rachel, and her wife, Tammy. Rachel and Tammy also took time out on their special wedding day, July 4, 2006, to speak with the reporter from KOMO News/Channel 4 in Seattle, Washington. Click here to read the newsletter with the details. justice and equality in our society for all. One quality of Stand UP Speak OUT Wind Changers is each is unafraid to have opinions and to speak them, regardless of the outcome or consequences. Our friend, Donna Rose, has some great ones, and she isn’t afraid to share them. Donna is forthright, honest, and direct, qualities that are in short supply in our culture. She is willing to take the inevitable hits from daring to have an opinion. Click here and check out the Op/Ed link on her homepage. Bobbie Bierleffi and Beverly Kopf, Producer/Directors for the Stoli BE REAL documentary, prove the incredible impact people in media can make. These two women epitomize what it means to be Stand UP Speak OUT Wind Changers. They are making a HUGE difference in our world with their recent documentary, BE REAL. It was at the end of our year long journey that we initially read about this documentary in the USA Today. Their documentary represents the essence of our journey, making a difference by Living Authentic. Click here for information about the BE REAL screening in our home in Bellingham, WA, in March, 2007. This is what they say about that experience: "When TVgals was asked to create a film about everyday heroes in the GLBT community - heroes in the sense of making a difference by living authentic lives - it felt like a perfect fit. After all, being real is integral to who we are and what we aspire to be, in our work and in our lives." Producer/Director Bobbie Birleffi has worked with some the most respected names in television journalism, including Bill Moyers, Hugh Downs, Robert MacNeil, and Jim Lehrer. Producer/Director Beverly Kopf has years of experience working with top talent like Barbara Walters, Meredith Vieria, and Maria Shriver, and was a writer for the Emmy Award-winning program, The View. 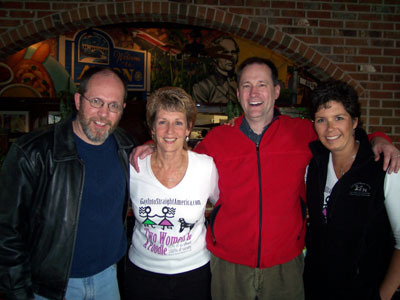 Life partners as well as business partners, Birleffi and Kopf in 2000 created TVgals, a production company responsible for a wide range of quality nonfiction television. with grace, class and integrity. Dotti was coaching women's basketball at the University of Kentucky when she first had the privilege of knowing Vivian. THE LIVES OF TRANSGENDER, BISEXUAL, GAY & LESBIAN PEOPLE. We are grateful for the following individuals. As both individuals and as a society, we owe a debt of gratitude to the following individuals who, through standing up and speaking out, are leaving their own unique footprint, changing and transforming our society in the process. We join GLAAD in recognizing Tara, by naming her as one of our Stand UP Speak OUT Wind Changers. As a long-time ally of the lesbian, gay, bisexual and transgender (LGBT) community, Tyra has shown a strong commitment to educating the public about the lives of gay and transgender people. She has consistently featured LGBT people on her talk show, and continues to increase the visibility of the community through the diversity of her co-hosts and contestants on America's Next Top Model, including her inclusion of Isis King, the show's first transgender contestant, on the most recent cycle. The Vito Russo Award is named after a founding member of GLAAD and the author of The Celluloid Closet. The award is presented to an openly lesbian, gay, bisexual or transgender media professional who has made a significant difference in promoting equal rights for our community. Suze Orman is undeniably America's most recognized expert on personal finance and has been called a "one-woman financial advice powerhouse" and "a force in the world of personal finance" by USA Today. Throughout her impressive career, Orman has raised the profile of LGBT Americans by using her position in the public eye to convey that financial planning is a concern for all Americans, regardless of sexual orientation or gender identity. Most recently, on Valentine's Day, Suze gave a big, bold Valentine Wis...standing up and speaking out on her TV show to explain about the legal rights of the GLBT community and money. Here's a big shout out to you, Suze! 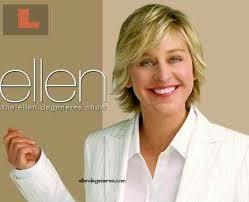 The impact of the Ellen show on society is a positive one. She is making a huge difference in the way society views gay, lesbian, bisexual and transgender persons through her TV show. 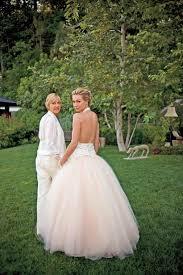 By openly sharing her wedding pictures, she moves our society forward in its acceptance of our relationships. That acceptance will one day translate to marriage equality for same gender couples. We salute Portia and Ellen as Stand UP Speak Out Wind Changer honorees. When others hold up their finger to see which way the wind is blowing, we empower ourselves and others when we understand that WE are the wind, and through our authentic blowing, we transform ourselves, and others, one person at a time. 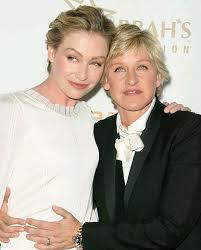 Thank you, Ellen & Portia, for living as the gift that YOU, each in your own power, showing what living authetnically looks like. 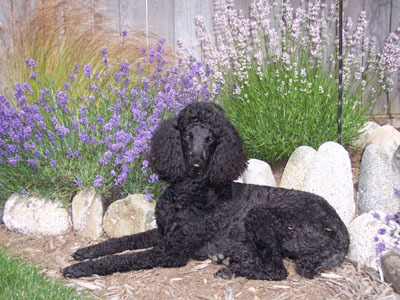 honorees since they have a black standard poodle, Mabel. 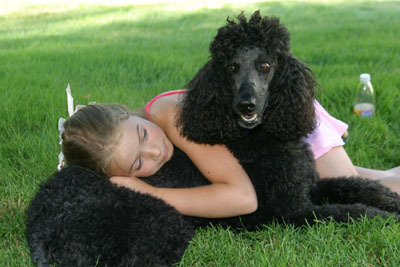 Ok, which pics are Rylee Joy & which ones are Mabel? Who's Rylee Joy & Who's Mabel?